This recipe was sent to me by a Bed and Breakfast in Toney, Alabama way, way back in 2002. Flash forward to this morning in December of 2012... I had half of a bag of those hash brown potatoes that you buy in the grocery store and I wanted to use them up. So I pulled up this old gem and went to work. Since I had less hash browns than this recipe requires, I used a different sized pan and adjusted the ingredients accordingly. You can see my alternate recipe below this one. The pictures here are for the adjusted recipe. I really enjoyed this quiche. It was cheesy and satisfying. My only regret was that the hash brown crust wasn't more crisp. I'll keep working on that. That said, I still liked it very much. The potatoes cooked through thoroughly, the egg set and the cheese melted. I declare a success (with a little room for improvement). Press hash browns between paper towels to remove moisture. 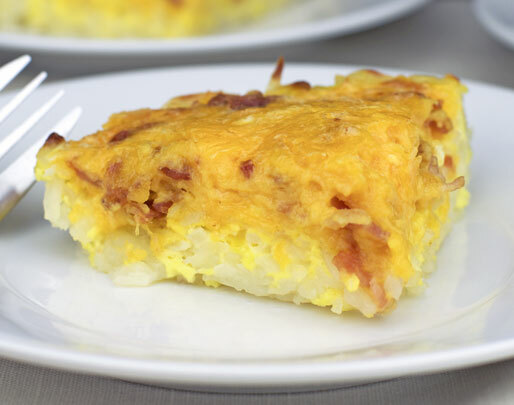 Press hash browns onto bottom and up sides of a 9-inch pie plate to form a crust. Drizzle melted butter over crust. Bake at 425 for 25 minutes. Remove from oven. Reduce heat to 350. Toss together the Canadian Bacon and cheeses and place in the crust. Beat the cream with the eggs and seasoned salt. Pour over Canadian Bacon and cheese. Bake uncovered at 350 for 25-30 minutes or until a knife inserted near the center comes out clean. Let stand for 10 minutes before serving. 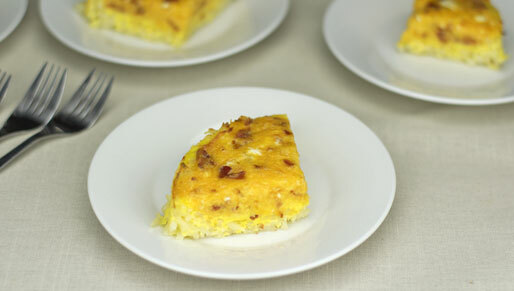 This amazing recipe comes from The Church House Inn Bed & Breakfast in Toney, Alabama. Follow the directions for the originals recipe, except let the pre-baked hash brown crust cool for 5 minutes before adding the other ingredients. 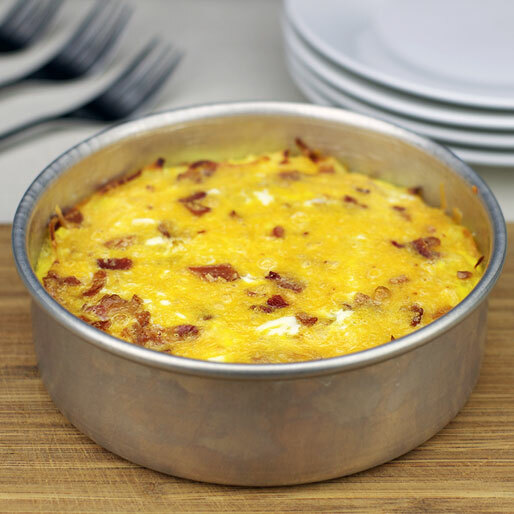 In this quiche, refrigerator-fresh hash browns becomes the crust to hold a combination of eggs, Canadian bacon and two kinds of cheese. Recipe number 133. Submitted 4/28/2002.